God in Konkani means Jaggery:-) Godu Appo is usually offered to Lord Ganapathi on the occasion of Ganesh Chathurthi. Even it is served for breakfast. Appos are small, spherical in shape and can be made instantly. 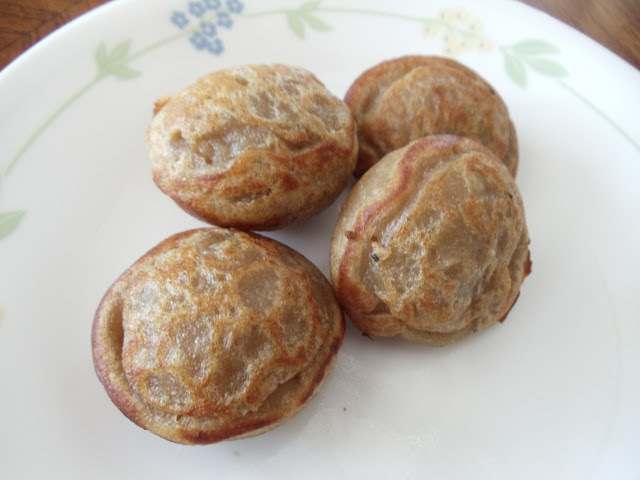 Another version of appo is made from Urad dal/Split blackgram and it is called Udida Appo. 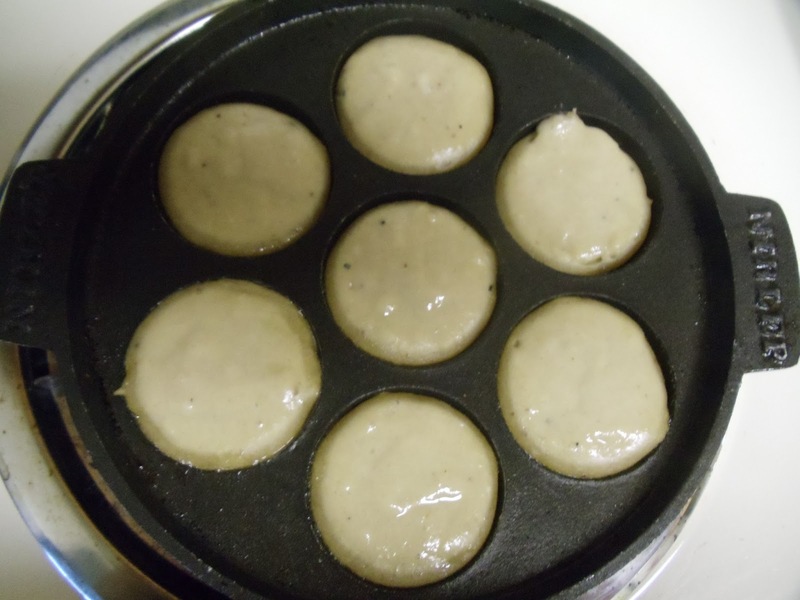 Appo is made in a different kind of pan and if you don't have that pan then you can also make dosas from the same batter. I made an alteration in the recipe given by my mother. Generally bananas are not added but I had few over ripe bananas and hence added them. It will not change the taste of Appo. Grind the puffed rice along with banana and jaggery to a smooth paste. Then add this mixture to the wheat flour. Add sufficient amount of water so that the batter is little thick (but of dropping consistency). Now add grated coconut and cardamom powder. Mix well. Batter is ready. Now keep the pan for heating and then pour little oil/ghee in each mould of the pan (I prefer to add ghee). When the pan is hot, pour the batter in each mould. After a minute or so, it will turn golden brown and turn the spherical appo, so as to cook the other side. This might take one more minute. Godu Appo is ready!! Above measurement serves two people. Enjoy this healthy dish. do u put the pan on direct heat? Do u get this only in India? If you use ghee then it will taste like that. Do try it Shwetha.